All photos by Katia Alferova. 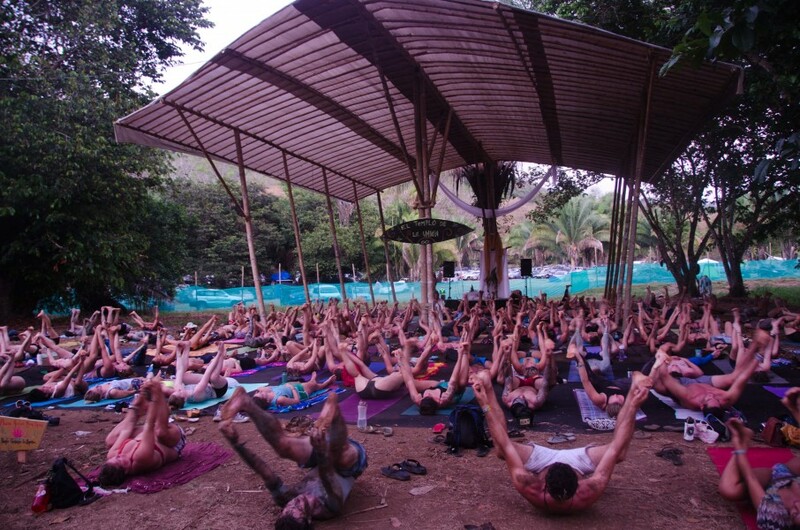 Envision is a four-day outdoor transformational festival in the coastal Costa Rican jungle combining music, yoga, visionary art, natural building and sustainable practices. Impressive handcrafted stages and art installations decorate the jungle in Uvita while thumping beats keep Envisioners dancing all night. But it’s not just about electronic music. 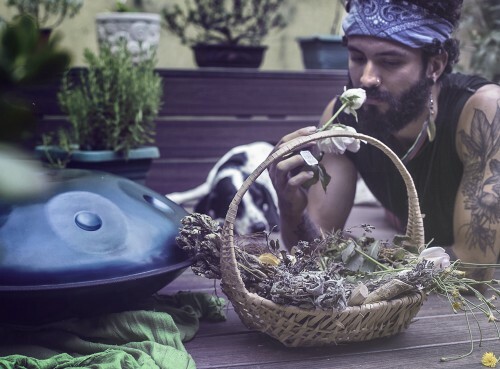 The festival makes an effort to promote sustainable practices with educational workshops, organic local food stands, waste management, waterless composting toilets and a strong Leave No Trace policy. Even with these elements, is Envision truly a thriving hub for changemakers? Does the festival help individuals make long-lasting positive lifestyle changes towards consciousness and a greener planet? This year, six NuMundo team members attended the festival to lead workshops, mixers and panel discussions. 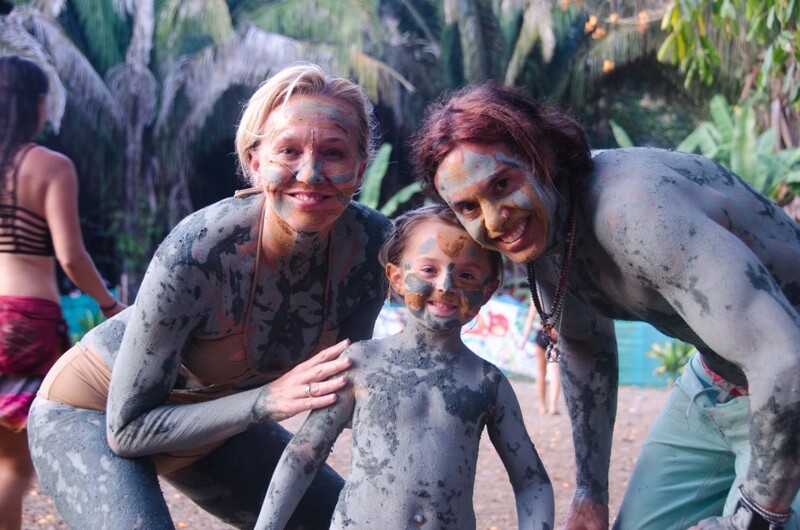 We had a magical time running events and the NGO section of the EcoHub, but also loved the blue clay, quality beach time, hammocks, AcroYoga and live music! The structures at Envision were absolutely magical, taking guests on a ride into a dream jungle paradise playground. The best part is that most infrastructures were made from natural bamboo, harvested for the event from or around a radius of 500 meters from festival grounds. Bamboo takes about seven years to grow, is easy to build and lightweight. It perfectly blended with the lighting effects and surreal natural jungle setting. 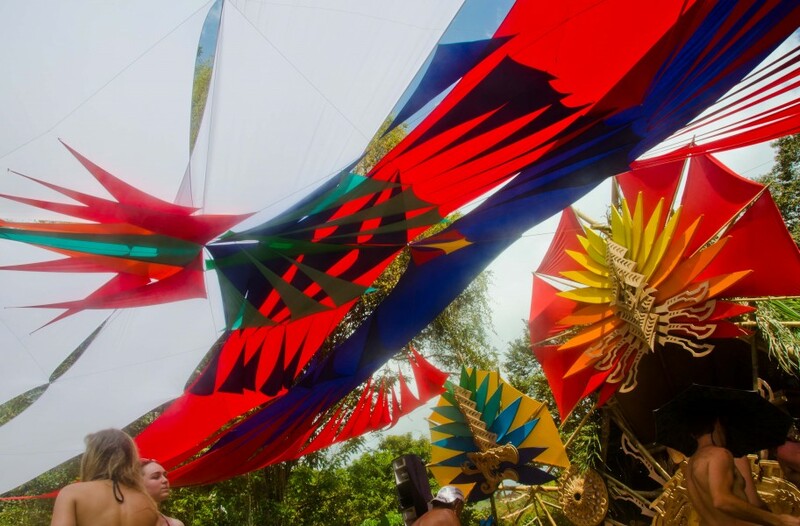 The Lapa Stage at Envision: one of the most colorful structures day and night! Blue Clay is a natural, soothing sun protectant. Thanks Buenaventura! Many people haven’t used waterless toilets and aren’t aware of their benefits. It’s a natural, water-saving toilet system that works on the principle of waste breaking down into pathogen-free compost. It was great to see efforts in this direction at Envision – most of us can agree that it’s a more pleasant experience than the porta-potty. 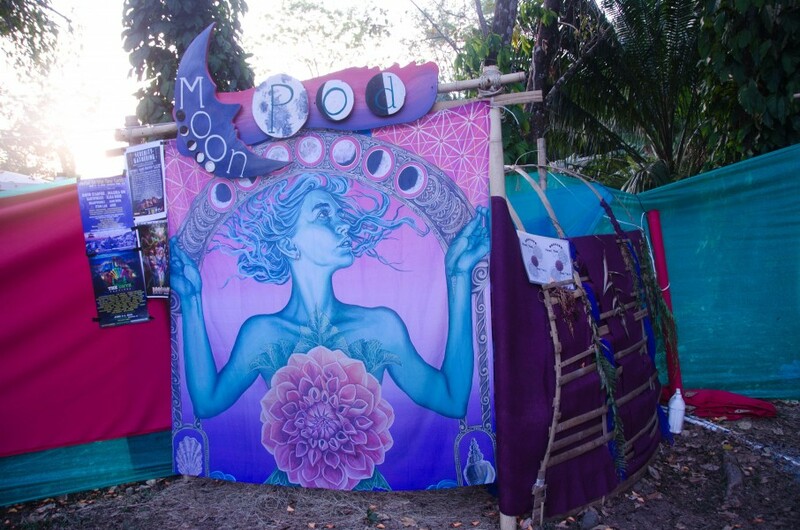 Our team loved the men’s and women’s urinals, decorated signs and tapestries, as well as the beautiful Moon Pod for ladies on their cycle. The Moon Pod: a composting toilet for ladies on their moon. 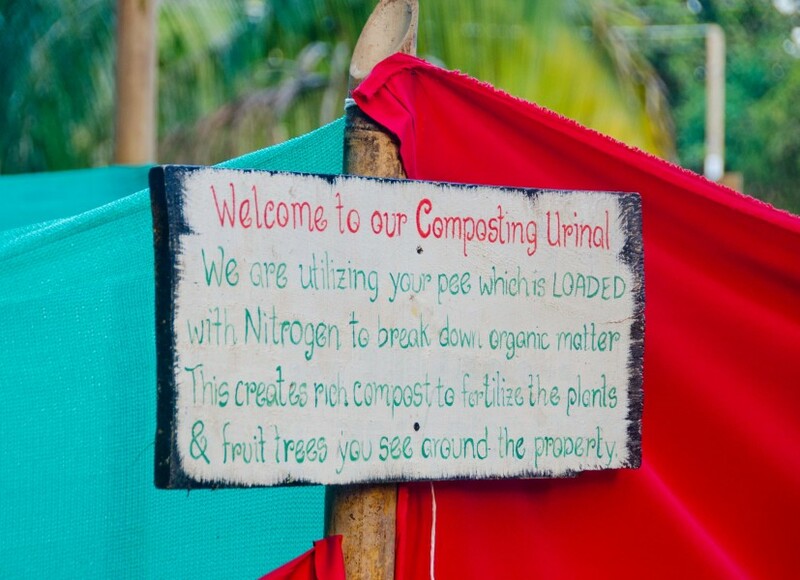 Why composting is good for the soil! Many people flew in to Costa Rica from faraway places and weren’t equipped with food or camping stoves, but Envision had it covered. The NuMundo team enjoyed perusing the high quality food booths with locally sourced fresh and organic ingredients. We tried Farm Ferments, sushi, kabobs, curry, ceviche, homemade popsicles and fresh fruit. At night, instead of drinking beer we had kombucha and amazing non-alcoholic elixirs with natural energizers like cacao and yerba mate – our favorites were “Meet Me In the Morning” and “See You at Sunrise”! 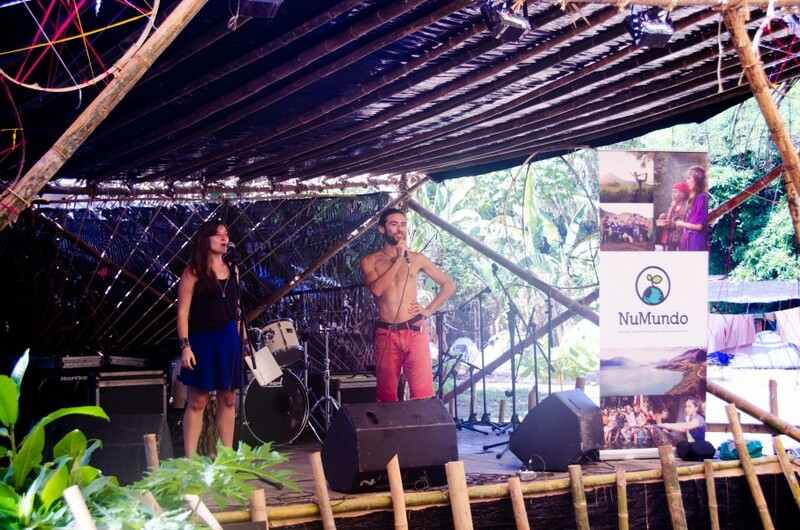 The EcoHub and NGO area was home to all permaculture, community and sustainability initiatives. 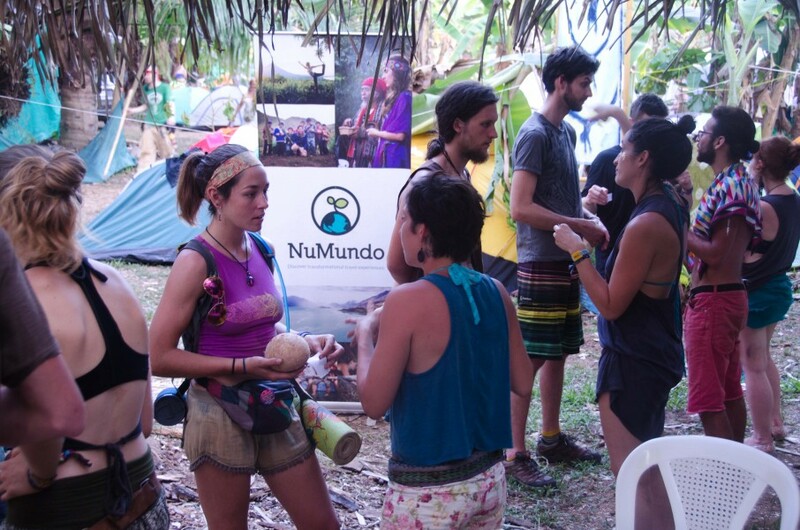 Our team from NuMundo created a networking board for festival goers to plug in to positive social and environmental impact projects around the world. We enjoyed engaging with Envisioners during our open space “Mycelial Mixers” and “Eco Speed Dating” sessions. Popular topics discussed included life-changing experiences, animal activism, reducing your carbon footprint, and how to create sustainable cities. “Networking the Transformational Ecosystem” on Friday morning at the Village Stage connected individuals to thirteen game-changing organizations in Central America who pitched their visions for a more regenerative planet. More photos here! 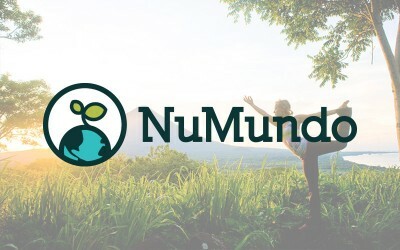 Katia Alferova and Bryan Arturo from NuMundo host “Networking the Transformational Ecosystem” featuring fourteen game-changing organizations creating positive social and environmental impact. NuMundo‘s Eco Speed Dating Session by the Networking Board: participants drew topics out of a coconut and discussed themes for only 3 minutes each with new partners. Some favorites were permaculture, spirituality, green cities, reducing your carbon footprint and animal activism. Shout out to the Eco Crew and our hosts at Finca Morpho! They were always on top of making sure festival goers didn’t leave any MOOP (matter out of place) and knew how to sort their garbage. Several stations on festival grounds included compost for organic waste, glass, metals, plastic bottles and trash. At end of the festival, the Green Team encouraged Envisioners to bottle brick their trash, which can be used next year to build structures. In Costa Rica, most trash is burnt, releasing dioxins and hydrocarbons into the air, especially from harmful rubber, #1 and #3 type plastics. Bottle bricking prevents trash from going to landfills and creates new building material. 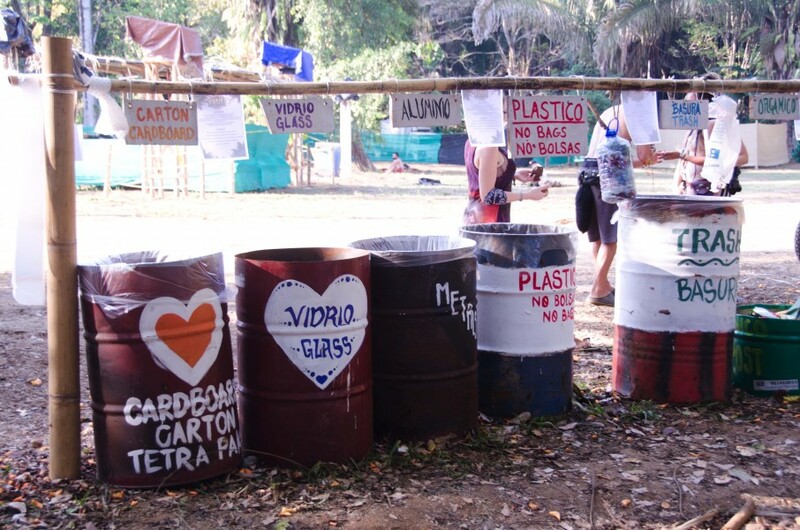 One of the stations at Envision Festival for recycling, composting and waste management. Believe it or not, it’s not easy to throw a music festival for thousands of people in the middle of the jungle. 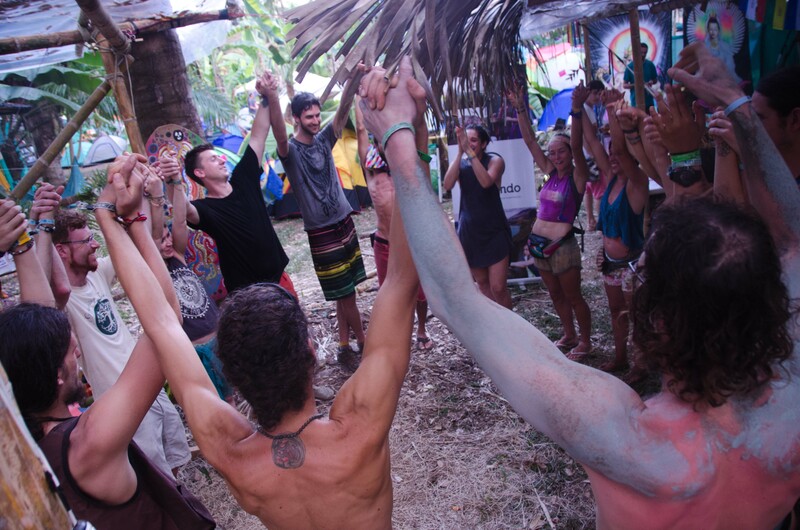 You need lights, speakers, microphones, stage decorations… Envision Festival used a few biodiesel generators through a Costa Rican company they contracted. The company produces their own biodiesel for the generators! At a music festival with dancing going on until dawn, it’s nice to have spaces to relax and take a nap once in awhile. For me, getting in at least one yoga or ecstatic dance class per day helped me ground and get back to my personal space for awhile. Our team enjoyed the sacred fire, Tea Lounge, Templo de la Tierra, the Kula Collective’s Cacao Lounge, hammocks in the village, and the nest in the Labyrinth! A relaxing yoga class at sunset. 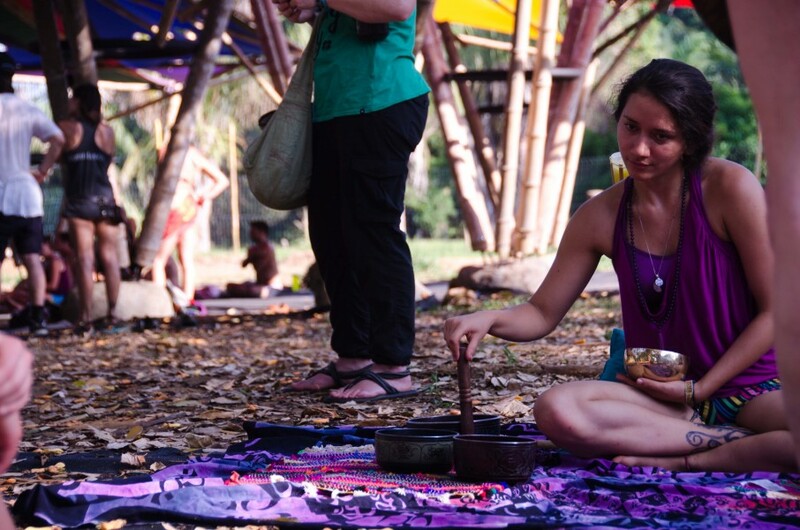 Kula Collective‘s Cacao Lounge: the spot for massage, yoga, meditation and relaxation! Envision is an eco-conscious music festival that reinforces our connection to the earth and connects individuals to a like-minded international community. With the jungle, beach, music, incredible bamboo structures, costumes and lighting, the event is a dreamlike experience gathering people in search of personal transformation. It was easy to fully emerge ourselves completely, largely due to the unconditional love from our fellow Envisioners. It’s great to see more festivals and gatherings striving towards expanding awareness and best practices in planetary regeneration.